2. Do Credit Unions Require Private Mortgage Insurance? The Government National Mortgage Association, or GNMA, insures principal and interest payments on some bond funds. GNMA funds are regarded as low-risk securities compared with other types of bonds and debt instruments. Nevertheless, these funds expose investors to dangers that include inflation and refinance risk. 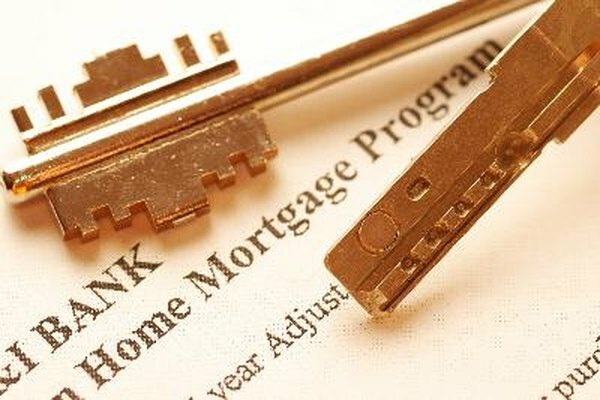 Mortgage investment firms such as Freddie Mac and Fannie Mae buy residential mortgage loans from banks. The loans are packaged into investment funds, and bonds tied to these funds are sold to investors in a process known as securitization. Investors receive monthly, quarterly or annual payments that are tied to principal and interest payments on the underlying loans. Normally, bond payments are reduced or lost altogether if mortgage borrowers default on their loans. However, with GNMA funds, you are assured of receiving your bond income because the entity honors these payments if the actual borrowers default. GNMA insures only bonds that are tied to federally insured loans. The Department of Veterans Affairs and the Federal Housing Administration are among the entities that guarantee home loans. FHA and VA loans are often securitized by firms such as Freddie Mac. If borrowers default on the loans, the VA and FHA cover some of the investors' losses. So GNMA bond funds receive two layers of protection, because the loans are insured by the VA or FHA and the bonds are insured by GNMA. Therefore, investors with GNMA funds are exposed to minimal levels of principal risk. When interest rates fall, homeowners replace high-interest rate loans with lower-cost mortgages. Homeowners can pay off or refinance VA and FHA loans at any time. Consequently, GNMA bonds are callable, because the bond term comes to an end when the underlying loans cease to exist. When this happens, you get a return of principal but lose income. You can reinvest your cash in new GNMA bonds, but the yields are likely to be lower. Therefore, when you invest in GNMA bonds, your income level from those bonds could decrease at any time. Prices of commodities tend to rise over time because the demand for goods outstrips the supply. The side effects include rising inflation. If you live on a fixed income, your standard of living deteriorates during periods of inflation because your buying power decreases. Mortgages within GNMA bond funds have similar durations and interest rates. If a fund contains fixed-rate 30-year loans, then your interest payments will remain the same over the course of the bond term. Consequently, GNMA bonds expose you to the risks of inflation and a loss of spending power. Bankrate.com: Ginnie Mae Bonds: Safety and Rates?